The full extent of the impact of the government’s “e-borders” scheme emerged amid warnings that passengers face increased congestion as air, rail and ferry companies introduce some of the changes over the Easter holidays. “Your travel data is much more sensitive than you might think,” Phil Booth of the privacy group, NO2ID said. “It is a sad refection of the times that the dream of freedom of movement across Europe has had to take second place to concerns about national security,” said Edmund King, the AA’s president. Ferry firms and Eurostar – who, unlike airlines, do not gather such detailed passenger information – have also raised concerns about the impact on passengers and warned the plans may not even be legal under EU law. “We are also concerned that the implementation of e-borders could prove expensive and time consuming. 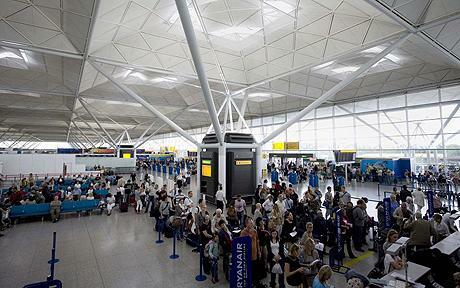 For passengers this could mean longer check-in times,” a Eurostar spokesman said. “This will lead to unwelcome queues of vehicles at ferry ports and risks adding unnecessary complications to what always have been and ought to be a simple and straightforward journey,” said a spokesman for the Chamber of Shipping. The plans have also alarmed the Royal Yachting Association. “From a recreational leisure boating point of view, filling in paper work detailing your exact travel plans every time you cross a border is not desirable.,” a spokesman said. The scheme was condemned by Chris Grayling, the Tories’ home affairs spokesman. “Of course we need to keep a proper record of people as they come in and leave the country. “My worry is that the Government is creating something which will be unwieldy, impossible to manage and expensive to operate.